All-steel construction and a sleek powder coated finish set the Metal Art monitor stand apart from the competition. Raising your monitor or TV to a proper height is the key to achieving a comfortable and ergonomic viewing angle, and the Metal Art monitor stand can help you optimise your monitor or TV placement. 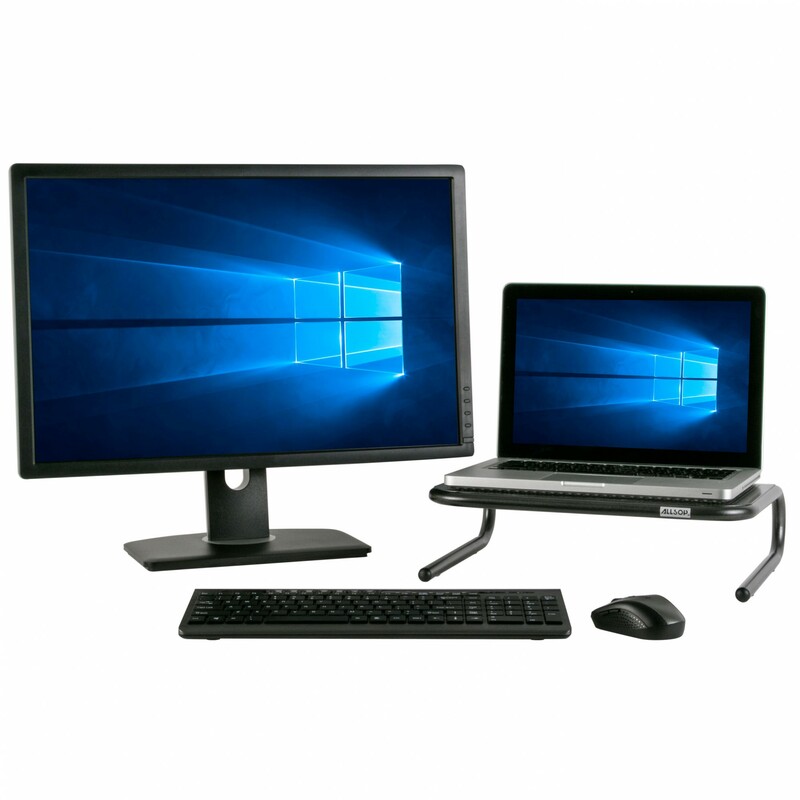 Increasing your monitor height as recommended by OSHA (Occupational Safety and Health Administration) with a Metal Art stand can help prevent possible neck and back fatigue and provide better ergonomic viewing. The Metal Art features a unique design that organises your workspace while providing valuable storage space underneath for your keyboard, laptop, or office supplies. 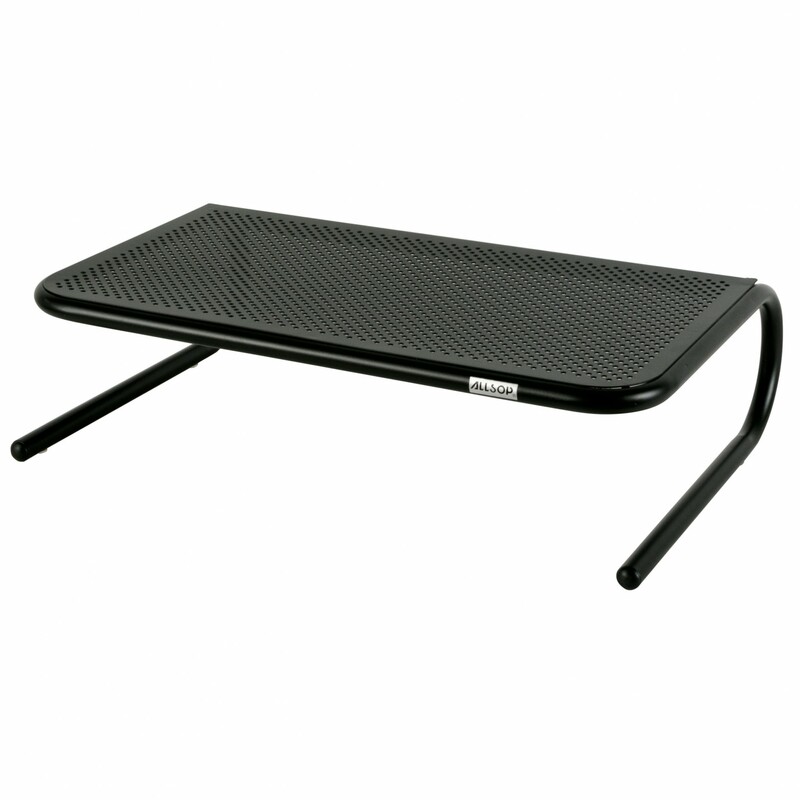 The stand also has a vented platform surface for passive airflow to keep your devices cool. All-steel construction and a sleek powder coated finish set the Metal Art apart from the competition. The minimalist styling works for any type of décor and its 22 kg/50 lbs capacity is designed to hold the weight of modern monitors and TV’s. 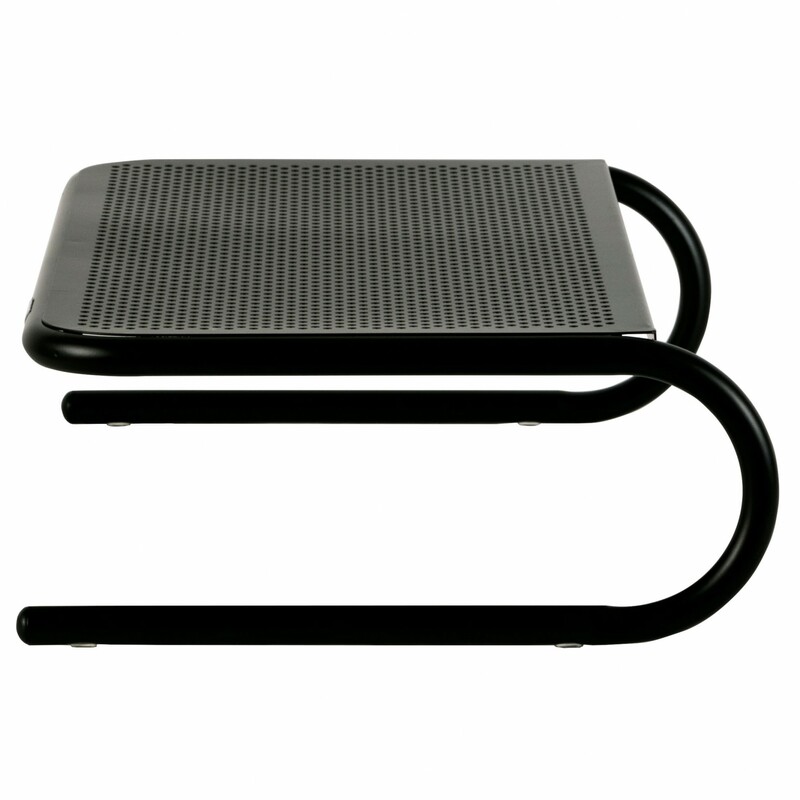 The metal legs are fitted with non-skid protective feet to protect your furniture. The Metal Art Stand was developed in the USA at Allsop’s Bellingham, WA research facility. 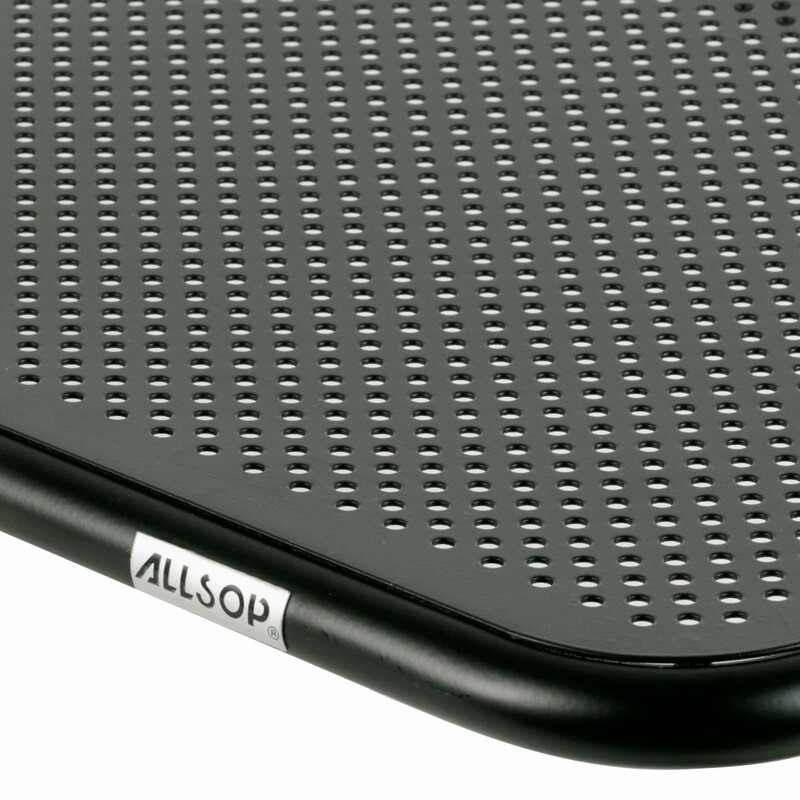 Over one million Metal Art units have been sold, and Allsop continues to be a leader in the design of stylish, functional, and durable consumer products. 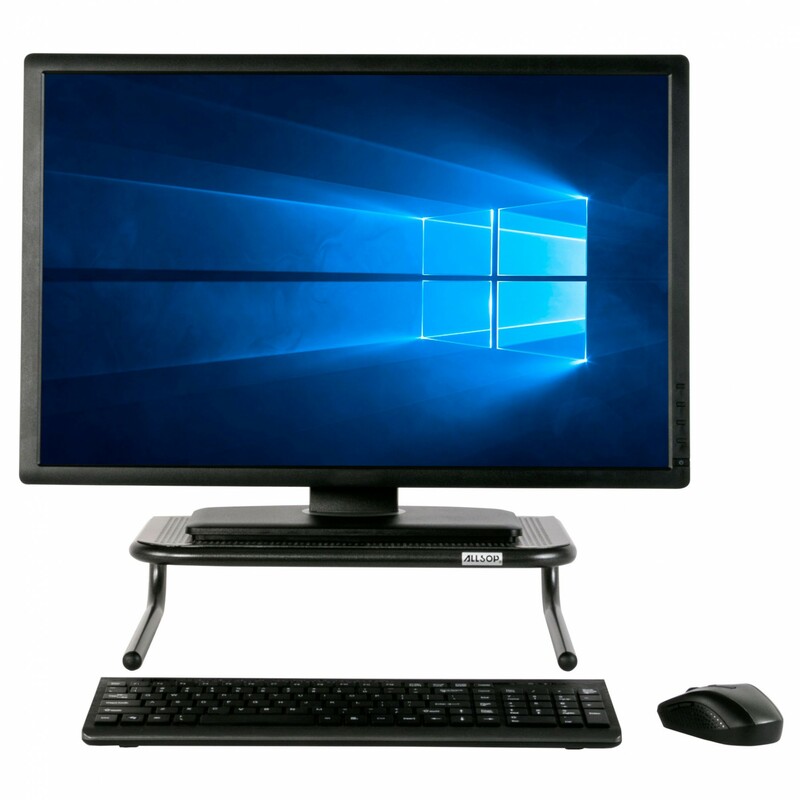 It will elevate your monitor 133 mm (5.25″). 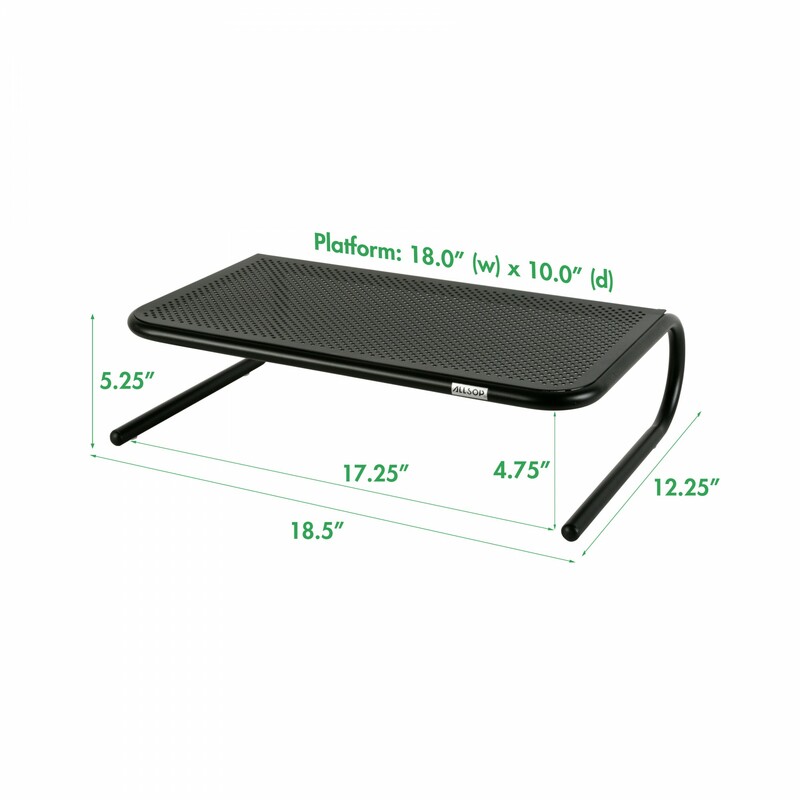 The stand is rated to hold up to 22 kg/50 lbs of weight. 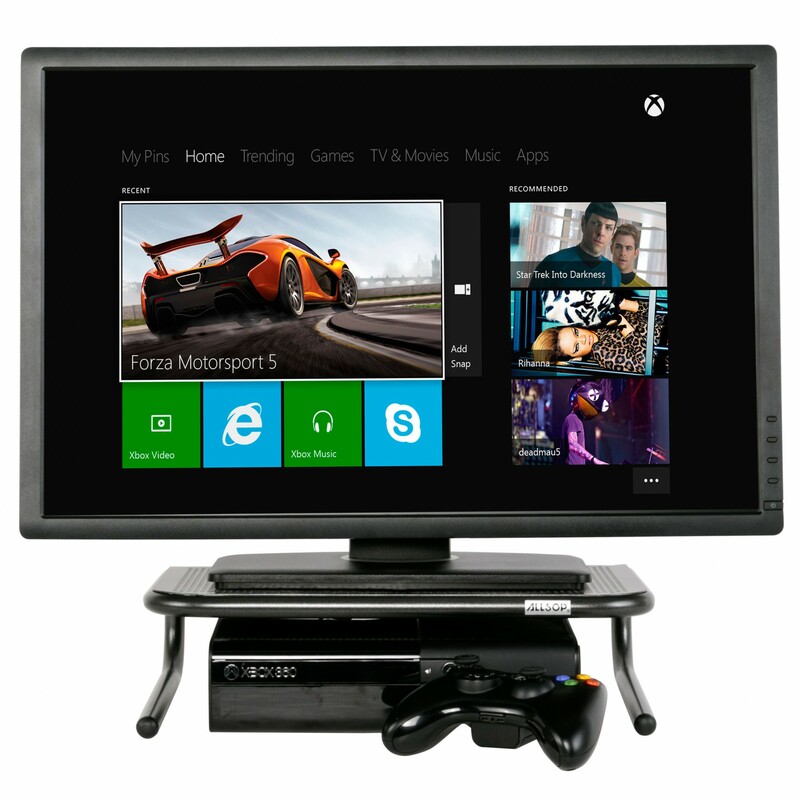 Stability of the TV would depend on the TV base/stand and how securely it fits on the monitor stand.